More than 139 Dayton-area student athletes have been honored for their commitment to their studies, sports and community, with Penn Station’s local owners providing over $200,000 in scholarships and financial support for Dayton-area schools. Know an Outstanding Student Athlete? Every month Penn Station, WDTN/Channel 2, and Alpha Media’s WGTZ-FM (92.9 Jack-FM), WDHT-FM (Hot 102.9), and WING-AM (ESPN 1410) will select an outstanding senior student athlete from a high school in the greater Dayton area who has demonstrated excellence in athletics and good citizenship. To nominate someone, click the link below. Winners receive a Penn Station gift certificate for a “Party of 10,” 1,500 BOGO coupons (Buy one sub, get one sub free), a $500 check to their school, Penn Station Athlete of the Month T-shirts, and trophies for both the student and the school. They will also be featured in Penn Station in-store displays. Plus, winners may be featured on participating TV and radio sponsors’ programs. 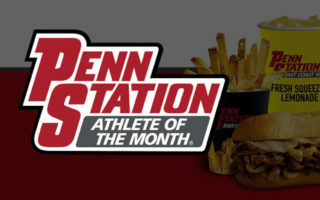 Each year all eight monthly winners will automatically be entered as finalists for Penn Station Athlete of the Year, recipient of a $10,000 college scholarship! Penn Station will also award $2500.00 to the school showing the most “spirit” during the Athlete Of The Month presentation. Do you know a leader in athletics and citizenship? The natural…or the one who works hardest to look that way… and still knows that how you play the game is just as important as the final score. The do-gooder… you know, the one who actually takes the time to pick up groceries for an elderly neighbor… just to be friendly. 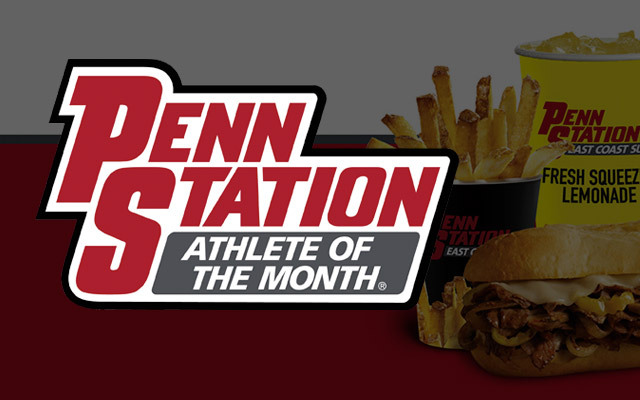 Congratulations To All The 2018 Penn Station Athletes Of The Month!